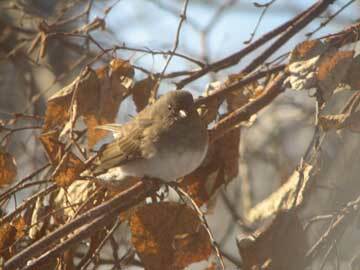 The Christmas Bird Count (CBC) is carried out each year on the third Sunday in December. The week prior to the count day, a “Birds of Christmas” presentation is offered to the general public. Speakers, armed with photos and bird calls or songs, help to interest and educate those gathered. The CBC event is outlined, and participants can sign up for an area they wish to count. The counters meet at a local restaurant at 9:00 a.m. on count day, and from there, disperse to do their counts. The CBC in Saskatchewan started about 1940, and in Canada is has been occurring since 1900. Prior to 1900, this activity was referred to as the Christmas Side Hunt which required all participants to kill as much game as possible. 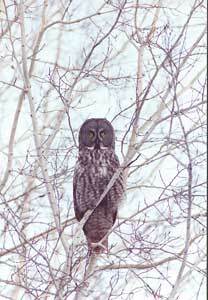 Since the count started, Saskatchewan has recorded over 170 different bird and mammal species during the count period around Christmas. 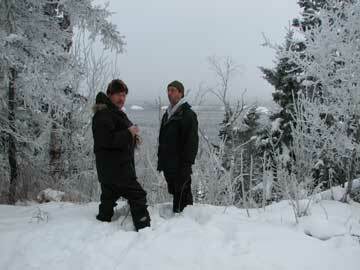 The Prince Albert area has recorded 64 different species with a one-year high of 35 species. Why count birds and mammals at this time of year? A bad day in the field is better than a good day in the office! It's for the birds. Monitoring the status and distribution of populations is the primary reason. These numbers show trends, and can flag challenges for groups or a single species caused by climate change, pesticide use, breeding habitat loss, avian disease, etc. It's also for the participants. Aiding a first-timer, friendly competition, seeing an uncommon species like an albino robin or a cardinal, sharing of knowledge and enthusiasm, fresh air and exercise are but a few reasons for participating. The Count Day is the third Sunday in December, but the actual "Count Period" runs from December 14 to January 5. If volunteers cannot do their counts on the actual count day, their count is still very important. Their count will not be published as Count Day numbers, but any species that is observed during the Count Period and not recorded on the Count Day is recorded and submitted as Count Period data. It is important that the counts are done on the same day for our area. Other areas may choose different days within the Count Period. Our area is a 24 km (15 mile) diameter centered at the Diefenbaker Bridge. The area is divided into 11 segments. The habitat is quite varied: river riparian, city parks, open fields, Little Red River Park, other forested lands, bird feeders and city structures. The count requires a minimum of three hours of activity – driving, walking, cross-country skiing, or watching feeders from outside or inside. All methods, as well as times and distances, are recorded along with weather conditions and habitat type. Species and numbers are recorded for both birds and mammals; tracks and sounds are recorded as well. 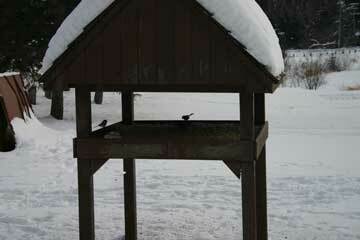 Most common observations at 95% of the years are the black capped chickadee, common raven and the black-billed magpie. Saskatchewan counts and participant names are published in Nature Saskatchewan’s “Blue Jay” magazine.